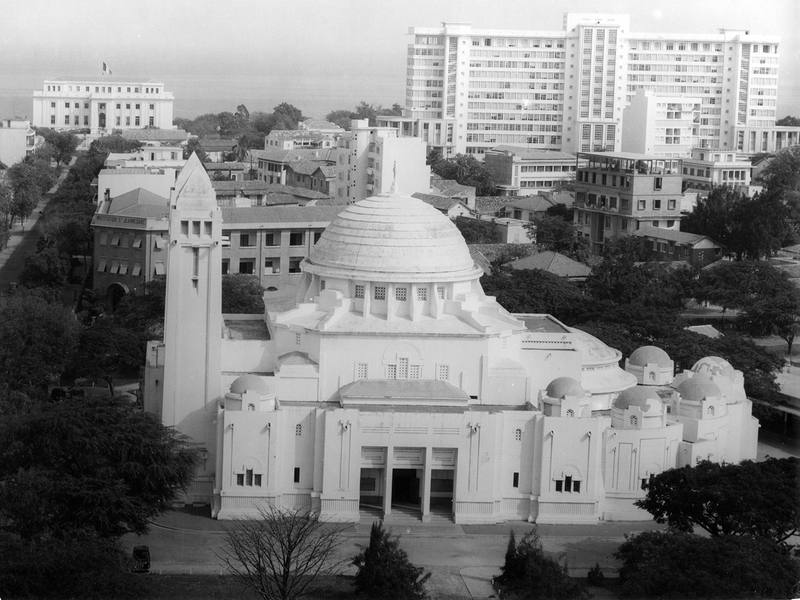 In 1955, Dakar was erected as an archdiocese and Bishop Lefebvre became its first archbishop. His plan was to revitalize Catholic Action, insofar as it had strayed, and he saw in social demands a means of promoting this apostolate. Instead of the pragmatic slogan, “See, judge, act” of the A.C.O. and J.O.C. (French acronyms for Catholic Action Workers and Catholic Youth Workers), Archbishop Lefebvre chose the motto devised by St. Pius X: “Prayer, study, action”. Through study a militant Catholic layman acquires the principles, and through prayer he obtains the grace to apply them. 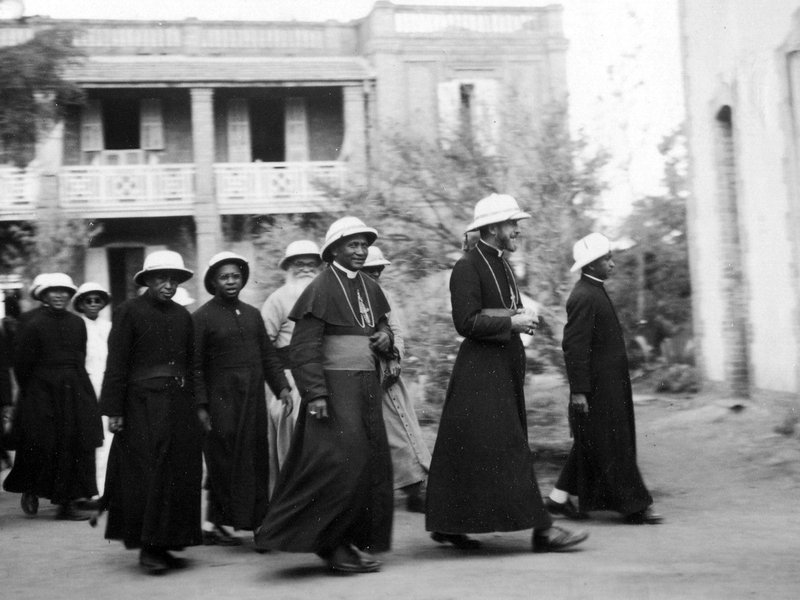 In Dakar he set up a branch of La Cite catholique, an association of laymen founded in France, which was strenuously opposed by some bishops because it rallied laymen who were firmly committed to work for the social and political reign of Christ the King. They were the thorn in the side of the progressive Christians, who were susceptible to liberal and socialist ideas. The bishop nevertheless invited the head of the group, Jean Ousset, and soon local branches of indigenous people opened, to the great displeasure of the A.C.O. chaplain. Bishop Lefebvre supported and recommended La Cite catholique. He saw it as “a nursery for organizers of Catholic Action who are animated by the purest spirit of the Church”, a shining example of Catholic Action as envisaged by St. Pius X, “to restore all things in Christ” in civil society. The pastoral letters and the instructions of the Archbishop of Dakar to his priests reflect his twofold Roman and Spiritan formation: first invoke by prayer the action of the Holy Ghost in the souls of the missionaries and of those to whom they are sent; then give priority to supernatural methods: preaching, catechism, Catholic school, Holy Mass and the sacramental life. These had to come first, before material methods, which took priority in the mission of the non-Catholics. Finally, Archbishop Lefebvre wanted to organize the pastoral and apostolic ministry systematically, taking into account the human and material resources available. 1. See St. Pius X, encyclical Il fermo proposito, June 11, 1905. "Our Lord will reign within the City when several thousand disciples are convinced of the truth they have received and of the fact that this truth is a force capable of transforming everything." 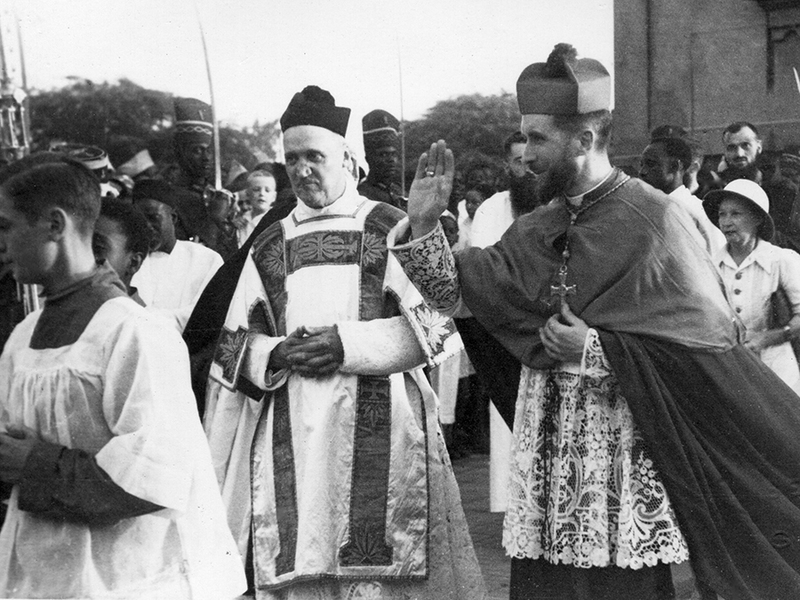 When Archbishop Lefebvre arrived in Dakar, the cathedral parish was the only one in the diocese.